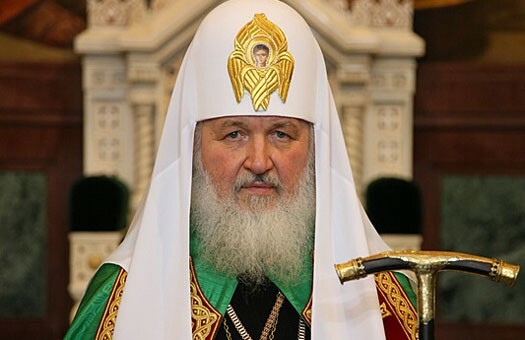 Vladimir, September 8, Interfax - Patriarch Kirill of Moscow and All Russia sanctified the foundation stone of the main cathedral honoring St. Vladimir the Great Prince in Vladimir on Sunday. “Today, amid attempts to destroy the spiritual-historical bonds between people, we are building a church in Vladimir, the second capital city of Rus after Kiev, in honor of the Christianizer of Rus to emphasize yet again the organic unity and spiritual connection between Kiev, Vladimir and Moscow, and the invincible and overwhelming unity of the Holy Rus,” the patriarch said at the ceremony. It is an important symbolic act which indicates that, “we do remember the blessed time, when we lived as one family, from the northern to southern seas, from the western to eastern borders, and when the same saints, traditions and system of values filled our hearts,” he said. “May God conciliate all those who are fighting on the Ukrainian soil in an internecine feud, and bless the Russian, Ukrainian, Belarusian and other peoples, christened in Kiev and endowed with spiritual power, wisdom and common faith,” he said.